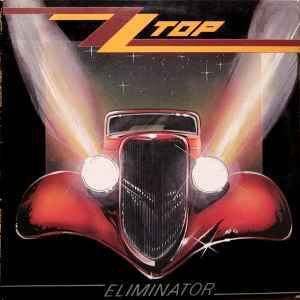 The eighth studio album from ZZ Top and their most successful to date. My 2016 reissue red US pressing does not have the fault on "Legs" and the whole album sounds great. Nice clean pressing and no noise. i don't feel the sound has as much depth as it should, although i don't have anything to compare it to. My EU red vinyl 2016 copy has the Legs error. I have this promo but with slightly different numbers. Mine has the WB logo with the ® and the horizontal lines. It's in great shape too. This pressing is a good example that the sound has nothing to do with the thickness of the vinyl and today's heavy weight trend. It has max. 120 gr and it sounds really nice: powerful, bluesy and sharp. My copy purchased April 27th 2017 does not have the abrupt ending on Legs and sounds very good. Records I got in 2011 by EllieF.